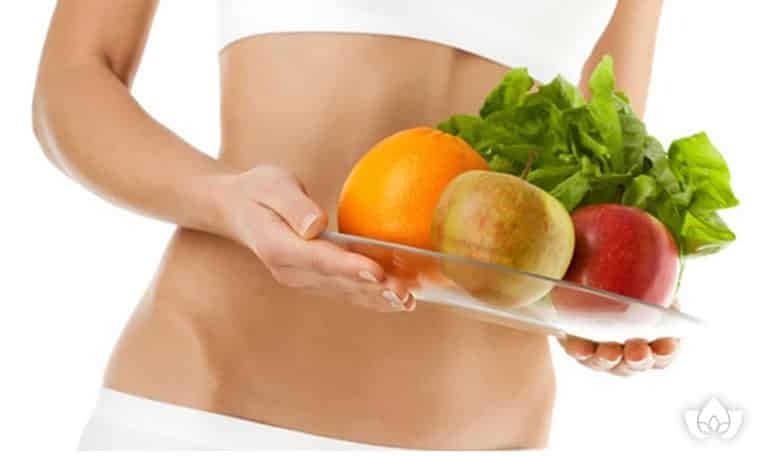 Last time, we talked about the health of your gut from a naturopathic doctor in Mississauga’s perspective, and how important it is in maintaining overall health. Today, I wanted to talk to you about a specific gut issue – leaky gut syndrome. What is leaky gut syndrome? What does it do? And more importantly, how do you avoid it? “More bacteria live and work in one linear centimeter of your lower colon than all the humans who have ever lived. That’s what’s going on in your digestive tract right now. Are we in charge, or are we simply hosts for bacteria? Your digestive system is an incredibly large organ. If you unravelled it and laid it all out, you could cover 250 square metres with it. The vast majority of this would be your intestines – a long tube through which digested food is passed, nutrients are withdrawn, and waste is disposed of. Your digestive system is also full of friendly bacteria which help maintain all sorts of bodily functions, including your immune system and your brain. The contents of your digestive system are supposed to stay inside your digestive system – this is where they’re most beneficial to your body. But when you have a leaky gut, the barrier of your intestines becomes permeated, allowing things to slip through the cracks and into your body, where they are definitely not beneficial. As things like toxins, antigens, healthy bacteria (at least healthy when it’s in your gut), and other microscopic organisms and particles pass through the gaps in your intestines, they can trigger an autoimmune inflammatory reaction within your body. These are serious issues, of course. So how can you avoid leaky gut syndrome? To do that, it helps to know what causes it. Here are three of the primary causes of leaky gut syndrome. When you experience high levels of stress, a number of different things happen in your body. You’ll experience an increase in cortisol and adrenalin, which slows down your rate of digestion, speeds your heart rate, and restricts blood flow to your brain and your gut in favour of your muscles. The end result is a burst of energy that was designed to help our prehistoric ancestors escape from a sabre tooth tiger or some other scary thing. We commonly refer to this as the “fight or flight” response. Once our prehistoric ancestors escaped from the threat, their hormone levels and blood flow returned to normal and they moved on with their day. But these days, your fight or flight response is more likely to be triggered during a situation where you need to neither fight nor flee. As a result, your body stays in fight or flight mode longer, which means the blood flow to your gut is restricted longer, which can lead to intestinal permeability. In other words, leaky gut. That blood flow is essential for the friendly bacteria in your gut to thrive. But one of the important roles of these bacteria is to signal your brain with the response it needs to cope with your elevated level of stress. So the more stress your body experiences, the less capable it becomes to actually cope with that stress. As with just about everything health-related, dietary factors play a huge role in causing leaky gut syndrome. But there are a few key offenders that we find in a lot of leaky gut cases. A 2008 study published in Alcohol shows that during the process of digesting and metabolizing alcohol, the chemical acetaldehyde is created, which can lead to leaky gut. Sugar, similarly, can cause inflammation in your gut which leads to a hostile environment for the friendly bacteria there, and can lead to a leaky gut. Beginning an elimination diet can help you pinpoint what it is that may be causing leaky gut. There is a specific type of pharmaceutical known as NSAIDs – Non-Steroidal Anti Inflammatory Drugs. You may not have heard that name before, but you certainly know these drugs by their more common names – ibuprofen, acetaminophen, and naproxen will be three familiar examples. These drugs are common in just about everyone’s medicine cabinet, and for good reason. They’re relatively low risk and can help us deal with pain. Occasional use is nothing to be concerned about. However, long-term use has been shown to cause inflammation in the intestinal tract, as well as increase permeability, according to a 1998 study in the scholarly journal Gut. It’s best to avoid taking these unless necessary. If you believe you may be dealing with leaky gut syndrome, there’s a lot we can do to help. Contact the Mindful Healing Clinic to book your FREE health and wellness session with Dr. Maria today. You’ll get a chance to ask any questions you may have, Dr. Maria will address your concerns, and from there you’ll walk away with a better understanding of what you can do to address your health issues.